Been meaning to put this up for a while. It's a 08 firebolt XB12R with the newer stronger spec engine. And a 25th anniversary model for what that's worth. Re: Pulling the box out of a yank! Link work fine. Right click, open in new window/tab. Savage bike Aidan- manage to get it sorted? Nice yoke,oil in the swingarm and fuel in the frame? Savage machine. You've got the newer thunderstorm motor - supposedly this sorted the oil pump problems on the previous generation bikes. Had a Buell for a couple of years and still have fond memories of it. Loads of character but lots of "issues". Keep an eye on the drive belt, mine snapped leaving me stranded. You can get a spring mounted tensioner which is supposed to give the belt an easier time. Beware of leaving it idling on the sidestand as mine vibrated itself into a horizontal position. I kid you not - parked on flat ground with stand properly deployed, it just fell over! First thing was to sort the shock! Considered fancy (expensive) aftermarket, but the stock seems like a decent unit (SHOWA) so got a second hand one shipped in from the states in good nick for great money. Gearbox jumping out of third gear under power, which was gonna need a full tear down to fix. And after a few spins I also found the fuel map was pretty bad. Then the positives I found! Later spec ECU which is equivalent to an EBR racing one except not preloaded with race map. It has a Drummer SS exhaust worth a nice few quid. K&N with an opened up airbox. Quick throttle, although could do with being quicker again, especially compared to jap bikes. With the rear shock sorted, next thing I went at was the map. The great thing about the Buell's is that you can remap them using several free software options. I chose 'Tuner pro RT' which is fairly straight forward if you have some understanding of what you are doing. 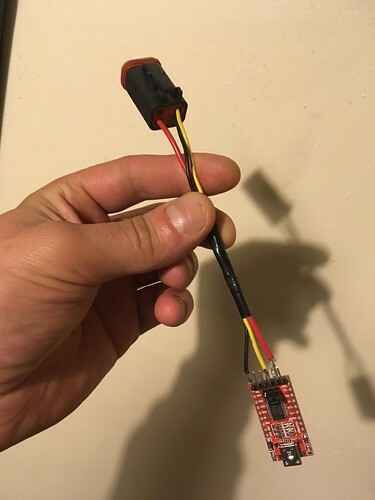 There are profiles written for the software specifically for Buell's that assigns all the data so you know what you are modifying. Seat of the pants told me that it wasn't getting enough juice at medium throttle openings as it felt starved until you really wound the throttle open, so I started enriching by extending the injector duration. The pic below shows what that looks like. 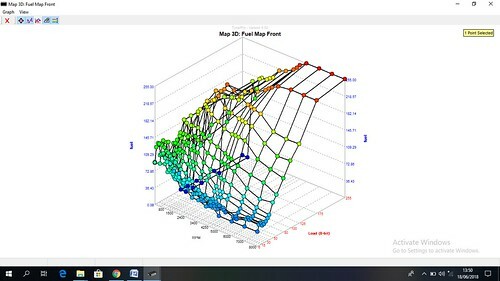 The top row is revs, and the left column is throttle opening as read from the TPS. Then there are also scalars for engine and air temp and o2 feedback but I won't go into those. So basically a higher number in any box is a longer injector opening for that given throttle position and rpm. 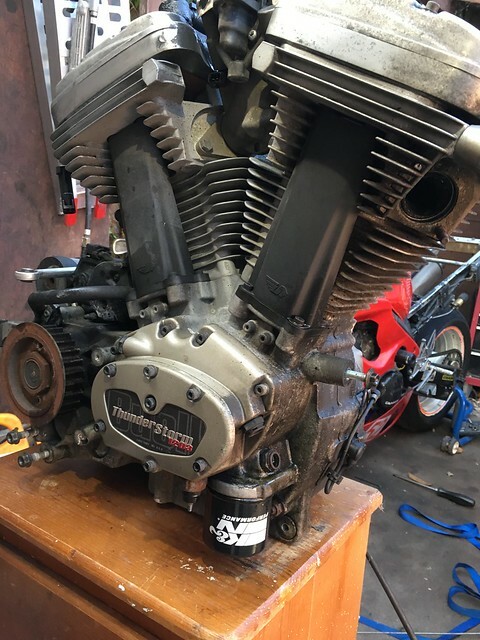 Interestingly front and rear cylinders need different maps because of different temps of the cylinders and different characteristics due to different exhaust headers. 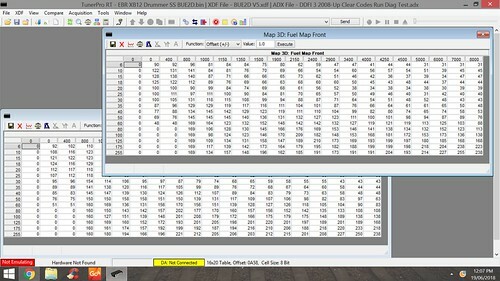 Also later model ECU's have better resolution, so more columns and rows, meaning a smoother map. With a bit of trial and error, and examining a few maps kindly donated to me from Buell forums, I got it to where it was running sweet. With that done it was done it was time to examine her box. 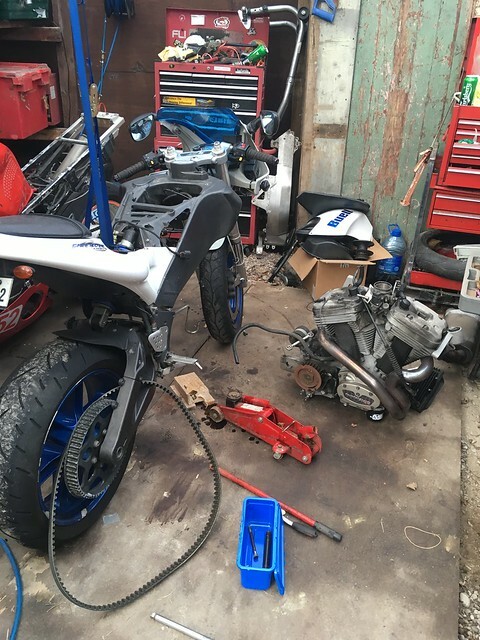 While I had my suspicions as to the issue, rather than take it all apart, examine the unknown damage and then spend ages trying round up the necessary parts from a dealer network that barely exists. 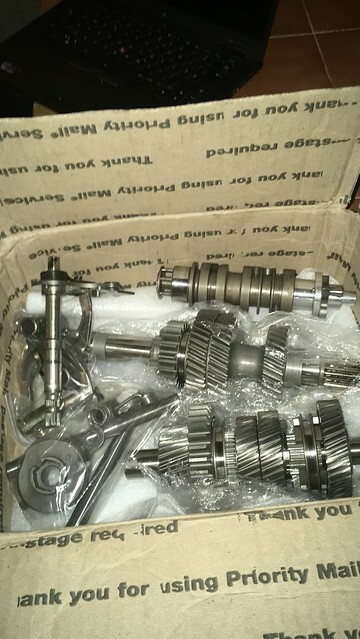 I found a complete low mileage gear and shifter set in the states for great money. Couple of weeks later this arrived, and upon inspection was everything i had hoped for. Harley's are notorious for it, so that would have to be sorted too. Thats some going fair play to ya. Are you going to change the cylinder hear gaskets while you have the engine out? This was another issue on the older motor. 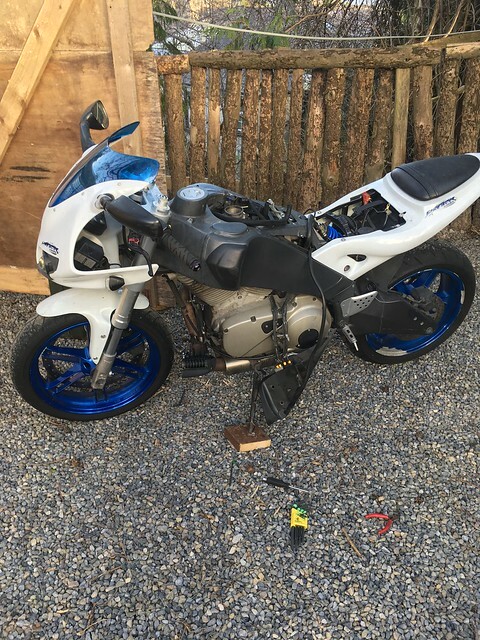 I got a complete new OEM Buell gasket and seal kit from the states. Also new shifter rod bushing which isn't included in the gasket kit, and gearbox bearings.